Hello, my name is Kim Desmond and I’m from Louisville, Kentucky! I’m a travel bug and love experiencing new places and things. We have backpacked through Italy and cruised through the Caribbean. My favorite place to visit, however, is the Magical World of Disney. It is the one place in the whole world that never fails to make me happy and I have been too many times to count. The magic and wonder that come with a Disney vacation are amazing, and I simply cannot get enough. My husband and I visit often with our 5 kids, and several have been going since they were babies (we took our youngest when he was 6 weeks old this past April!) Our daughters even had their very first haircuts at the Harmony Barbershop on Main Street USA in Magic Kingdom! 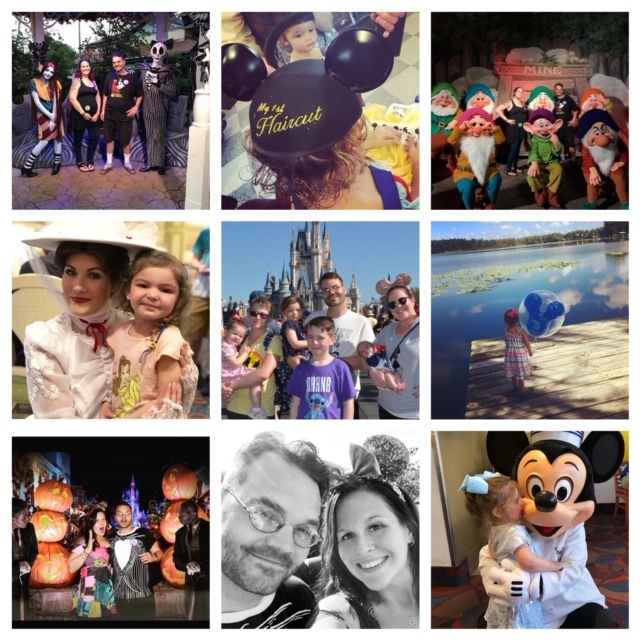 We have also celebrated our anniversary there alone for the past several years with trips to Mickey’s Not So Scary Halloween Party and some of the nicer restaurants on property like California Grill and Flying Fish. We have stayed in almost every resort hotel on Walt Disney World property over the years and we LOVE Disney dining choices and make it our goal to check out the latest and greatest eateries. I make sure to keep up with the most current happenings across property so that I’m always prepared when planning trips. Whether you’re celebrating milestones or simply getting away for a vacation; on a budget or planning the trip of a lifetime; traveling with kids or taking an adult getaway, there is a Disney Vacation package for you! Let me take on the stress of booking and planning the details of your magical trip and I will tailor your vacation to your exact specifications to help make your dreams come true!!! Call or Email Me for a Free No Obligation Quote! All services provided are FREE of charge to you, including airfare/ground transportation planning, booking your accommodations/fast passes/dining experiences, searching for new promotions and packages to save you money or add extra value to your trip, and much more! My email is Kim@startswithawishtravel.com and my phone number is 502-432-0546. Contact me today to start planning your magical getaway!